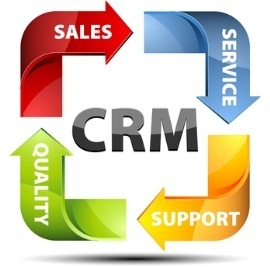 Why is a CRM Tool Essential For Your Business? Perhaps one of the MOST important tools that you can have in your marketing toolbox is a customer relationship management or, CRM tool. Why is having a CRM tool so important? A customer relationship management tool or CRM tool is where all your leads, current customers, and past customers information is stored and is essential in any effective marketing campaign. The main function of a CRM tool is to consolidate your customers information into one spot so you can communicate with every type of person more effectively no matter where they are in the customer lifecycle. One of the most valuable functions a CRM tool can have is the ability to automate frequent tasks and provide feedback on how effective the tasks are being. Many CRM tools are often combined with other systems and tools such as bulk email providers, landing pages, and other marketing tools that when all used together can be a very powerful marketing system. Some of the problems people have run into in the past is that one marketing tool doesn’t work well with the other in that the information it provides is difficult if not impossible to put together into a CRM without a lot of data conversion. MaxLeadPro has overcome these challenges by putting together a complete marketing tool suite under one, easy to use web based system. MaxLeadPro has a complete CRM tool that also allows you to send video emails, audio emails, text messages, and of course text emails to your entire database. It also allows you to separate your contacts into specific groups, change their status as they go through the customer lifecycle and of course record notes and upload important files such as invoices etc. The built in landing page creation tool allows you to have an opt in form that will capture leads and transfer them directly into your database and utilize the built in auto-responder for critical follow up sequences. © Copyright 2012 - www.maxleadpro.com - All Rights Reserved.